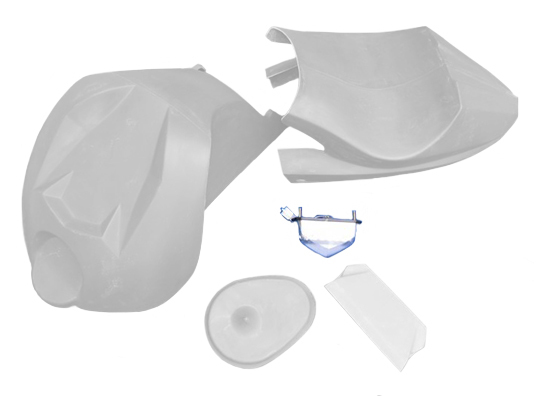 The kit includes the following parts: one tank cover, tail cover, taillight, lower backplate, seat plate (unpadded) and one airfilter cover. 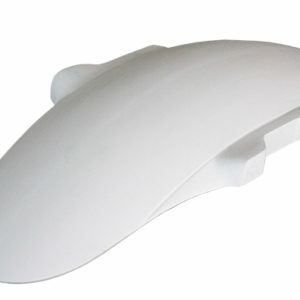 The parts are unpainted and seperate. 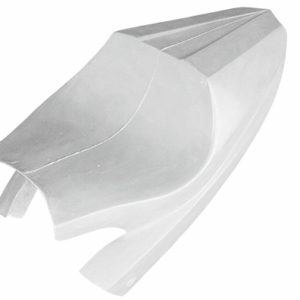 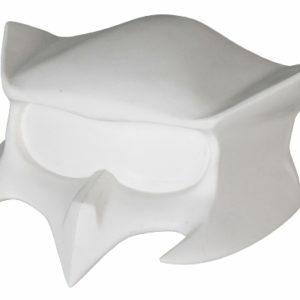 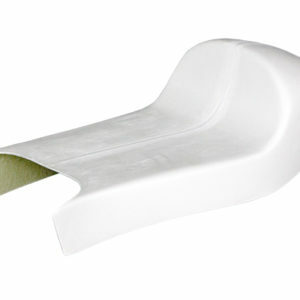 They can be used seperately but can also be laminated together to form a monocoque. 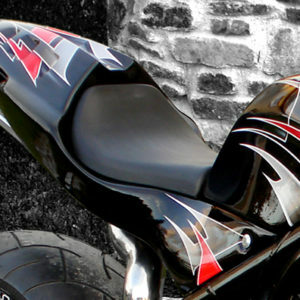 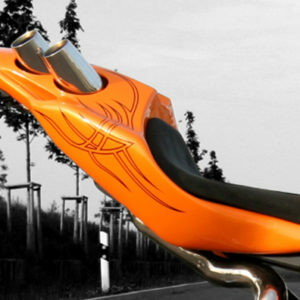 This kit fits to Buell XB9s and XB12s models.